A regulatory framework on charging stations is due to come out within the year to expand electric vehicle industry in the Philippines. A regulatory framework is being drafted by the Philippines’ Department of Energy (DOE) that will standardise charging stations to support the still budding electric vehicle (EV) industry in the country, according to a recent report. DOE Assistant Secretary Leonido Pulido shared that the rules will come out within the year. They already have a plan but it is still under final review at the Office of the Secretary. After which, the proposals for the standards will then be submitted to the Asian Development Bank in order to secure funding from its US$ 4 million Clean Technology Fund (CTF). The electric tricycle (e-trike) program is a loan and the CTF has a grant, which is part of that agreement amounting to almost US$ 4 million. A study is still being made if there is enough time to use it for putting up solar charging stations to charging stations so that the e-trike project will be expanded. A no objection letter (NOL) must first be secured by the Department from the international bank before the fund can be used. For the use of the grant, an administrative process should be followed with the NOL from the Bank. This means that a plan and timeline should be presented, with the timeline showing that they will be able to do it before the loan agreement ends on 31 May. The Assistant Secretary shared that the Department will be submitting three proposals that will seek to use a portion of the fund. The amounts in the proposals range from US$ 100,000 to as much as US$ 2.5 million. Three options are being given to see which proposal will be agreeable to the DOE, the Department of Finance (DOF) and the Bank. 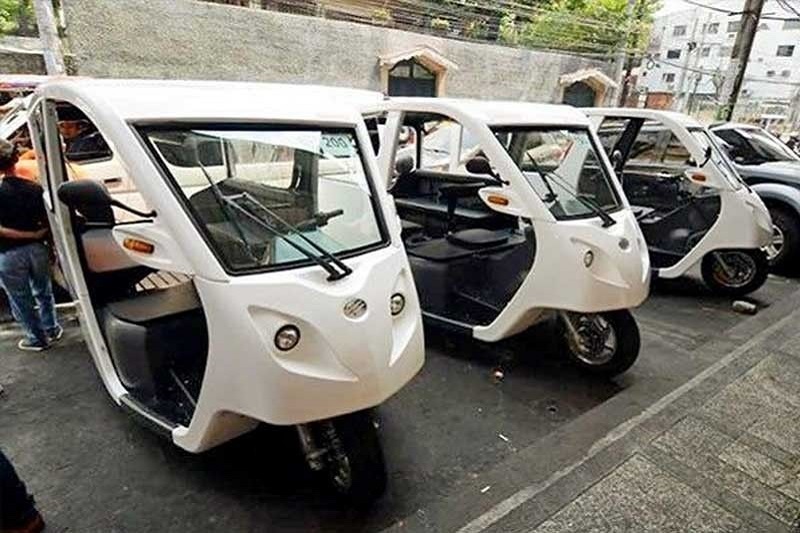 The Department was able to secure the approval last year to extend the loan and roll out the rest of the 3,000 e-trikes under the government’s joint project with the Bank until May of this year. Initially, the Agency was supposed to distribute the e-trikes only until June 2018. Out of the 3,000 e-trikes ready for deployment, over 1,200 have been donated to several local government units (LGUs) namely the cities of Marawi, Valenzuela, Muntinlupa, Las Piñas and Pateros. The latest LGU to receive is Mandaluyong City. They have been hit by natural or man-made disasters. They have historical and/or tourism significance. They have existing ordinances supporting electric vehicles. They have existing electric vehicles in their locality. They have poor air quality due to tricycle emissions. They will facilitate the setup of charging infrastructure and demonstrated plan to support the project. Setting the regulatory framework as early as now would help spur the EV adoption in the country according to the DOE Assistant Secretary. OpenGov Asia has reported earlier on electronic tricycles for a sustainable tourism in Boracay. The report highlighted the Memorandum of Agreement (MOA) signed by the Department of Energy, the Department of Transportation, and the local government unit of Malay, which donated 200 e-trikes to the popular vacation spot. The provision of the e-trikes was to provide an efficient and pollution free conveyance to tourists and residents around the Philippine island.